An underdeveloped Relationship Story fails to bring down this sports champ. Probably not shocking that a film about finding the science within art would receive such a high mark here, but Moneyball deserves it regardless of the subject matter. 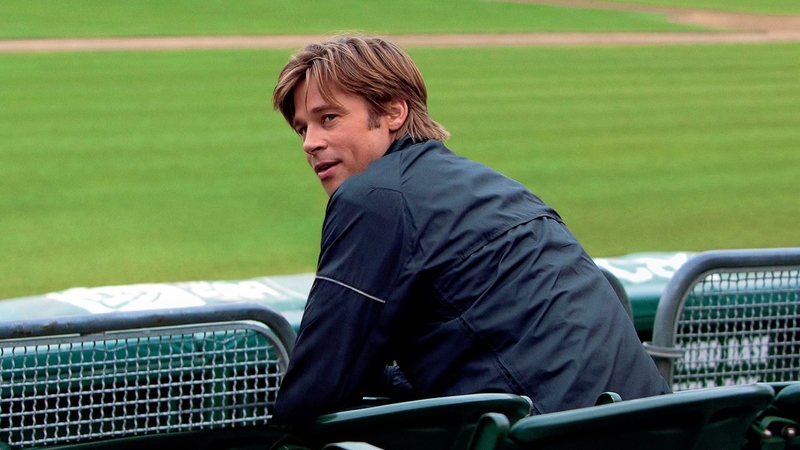 Main Character Billy Beane (Brad Pitt) hooks up with Yale grad Peter Brand (Jonah Hill) to change the way the game of baseball is played. The pair instantly square off with the old guard over the issue of how best to go about building a team (Overall Story Issue of Approach), engaging in several attempts to get others to rethink their picks (Overall Story Focus of Consider and Overall Story Direction of Reconsider). From the trailers it would seem that the Relationship Story would be found in their friendship, but Brand plays more the role of Guardian rather than the Influence Character. Instead, it is Beane’s daughter Casey (Kerris Dorsey) who has the greatest impact on Billy’s development and the one who eventually drives him to change his mind about what he lets drive him (Main Character Resolve of Changed). Her dreams of becoming a musician work nicely against the issues he has with some of the choices he has made in his life (Influence Character Issue of Dream and Main Character Issue of Choice), yet their father/daughter relationship feels under-developed. The scenes of her impact come off as scenes of her impact (she even calls and tells him to literally stop! ), rather than an organic occurrence. It can be difficult to rectify real world events with the needs of a completely argued story, but if there was an area that could use further development, this relationship would be a place to start. Still, the film packs one heck of an emotional response. The Personal Triumph feels like a personal triumph, and for those who have played organized sports and lost—that’s all the meaning they’ll need from this film.